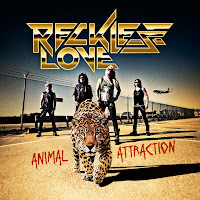 RockUnitedReviews: RECKLESS LOVE: "Animal Attraction"
So, the colourful glamsters are back with a new album. It's the "difficult second album", and the stakes are high. The record company is obviously expecting big things after the rather successful debut and the headway the band made during the last 18 months. The band certainly got themselves a high profile in the Finnish media thanks to numerous TV appearances, but there's a downside to this - the critics and enemies are now waiting with their knives sharpened... that's the way it goes here. I liked the first album a lot, and I like this effort too. The band hasn't lost their knack of writing big hooks, and the production by Ilkka Wirtanen is glossy and polished. Maybe there aren't quite as many standout tracks as on the first album, but this is by no means a disappointment. The Crüe-meets-Leppard vibe of the title track is the grand opener, and it's a big, BIG anthem. "Speedin'" is a bit of a throwaway and it could've been buried further down the tracklisting, as "Born To Break Your Heart" would've been a better second track. This is a cool, breezy track with a nice twist in the lyrics. The first single "Hot" I've grown to like a bit more over the last few months, but it's not one of my favourites. And that guitar solo... what the hell? "Fantasy" is the album's big ballad, and if the band intend to do it like it was done in the eighties, it's the single number three. Very Def Lep again, maybe a bit sugary for some but I like it. "Dirty Dreams" could be a single candidate too, thanks to one of the best choruses of the album. "Dance" is a bit of a departure for the band, even more than the controversial "Hot"... this dance-rock hybrid reminds me of The Rasmus actually. I don't know, it's okay but I'm not overtly into it. After the trickery beats, something more rockin' is needed and "Fight" is just that, a high-energy rocker with Olli Herman snarling the lyrics like he means it. "Switchblade Babe" is another rocker driven by Pepe's riffs, followed by my favourite track of the album, "On The Radio". With a Bon Jovi-vibe and a massive chorus, this song has brought some much needed sunshine to these dark autumn days. I really don't know what to make of "Coconuts", a silly rocker in the vein of David Lee Roth's solo stuff, with Olli doing his best DLR impressions. It's not really much of a song but it's kinda funny... actually it reminds me slightly of another song with "Coconuts" in the title, Fate's "Beneath Da' Coconuts". 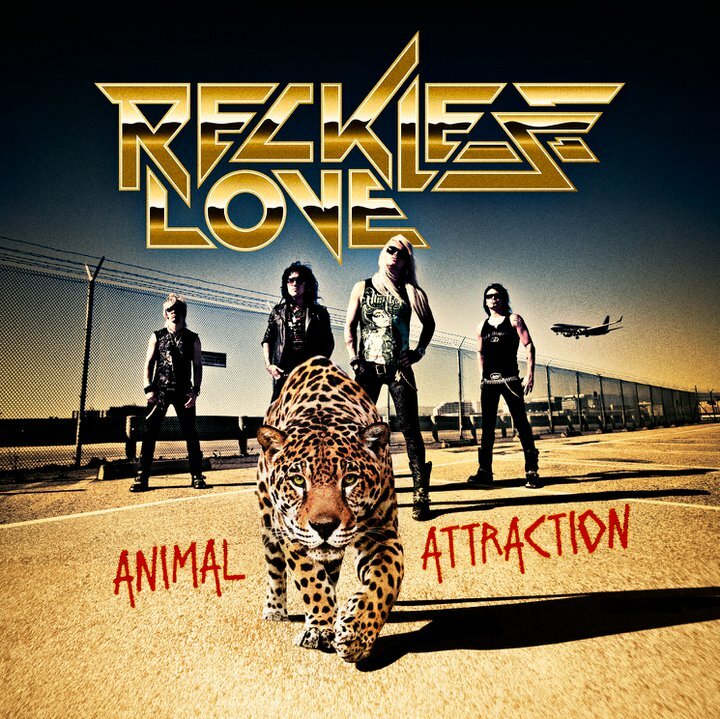 I compared Reckless Love to those Danish rockers in my review of the first album, and now they sing about coconuts too. Strange.